The design, look and feel of OPEN Cycle bikes will blow your mind. 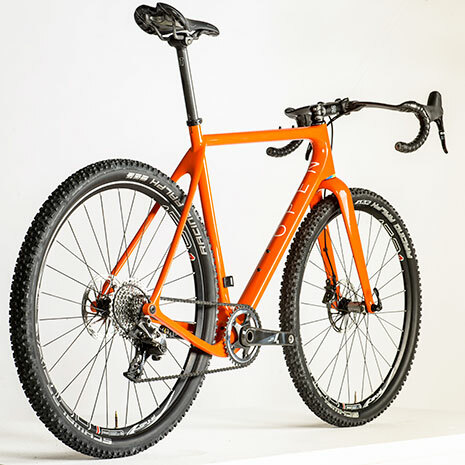 These custom frames create advanced bikes for riding dirt, gravel, and rough roads. Their superlative U.P., U.P.P.E.R., and ONE+ frames are introducing riders to a new level of performance on rugged terrain. Each of these unique designs features the versatility to run multiple wheel sizes, while the ONE+ does so at less than 900 grams for a frame. To make all of this even better, OPEN Cycle frames maintain a superior ride quality through balancing expert engineering with thorough testing and proven construction. Pacos has been chosen to be one of the few dealers authorized to stock and sell this new brand. It's an unbelievable ride ready to tackle the many mixed terrain routes around the area. Stay tuned for arrival announcements.